I decided to change this . . . 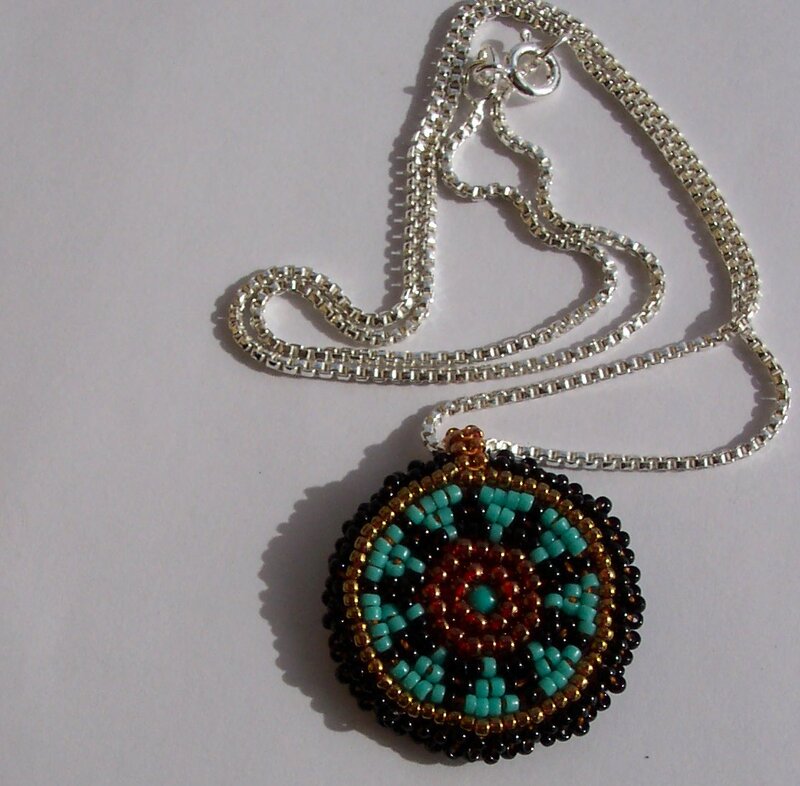 I wasn’t happy with the way this pendant looked with the silver-filled chain. They just didn’t go together. 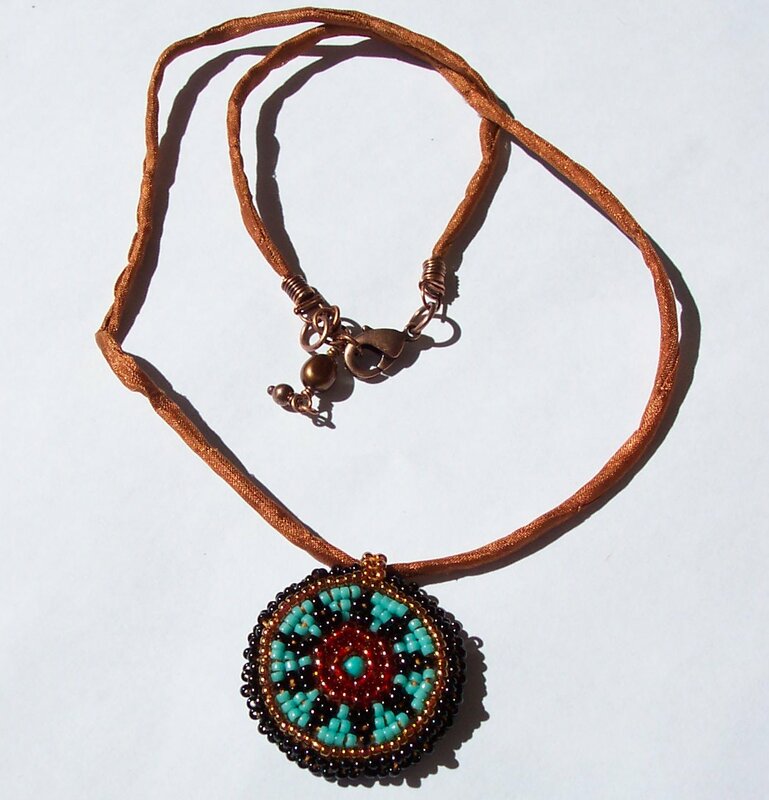 I swapped the chain out for a hand-dyed silk string that matched the copper tones of some of the beads in the pendant. This piece just looks so much more vibrant to me now. 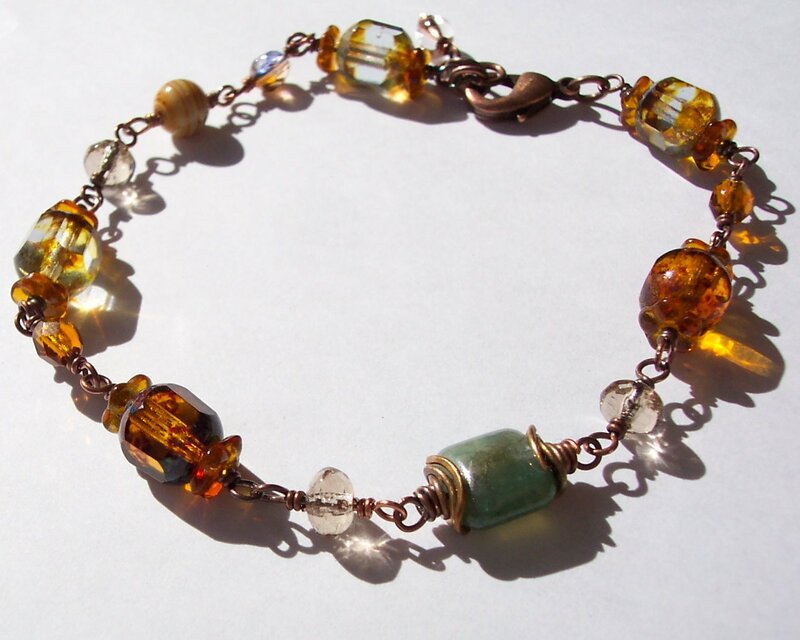 I also got wrap happy and made some wonderful wire wrapped bracelets. 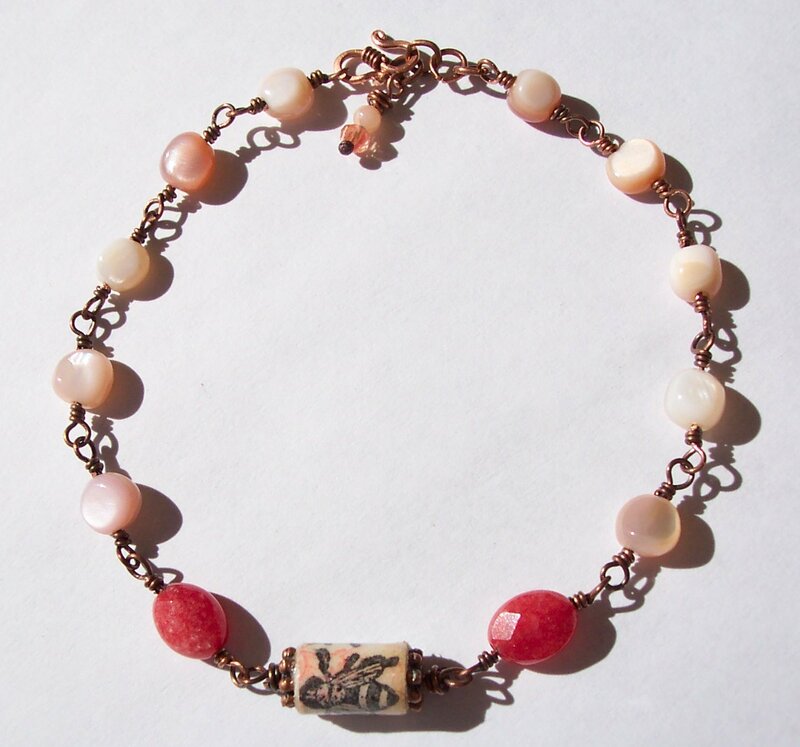 In two of the bracelets I include honey bee paper beads. 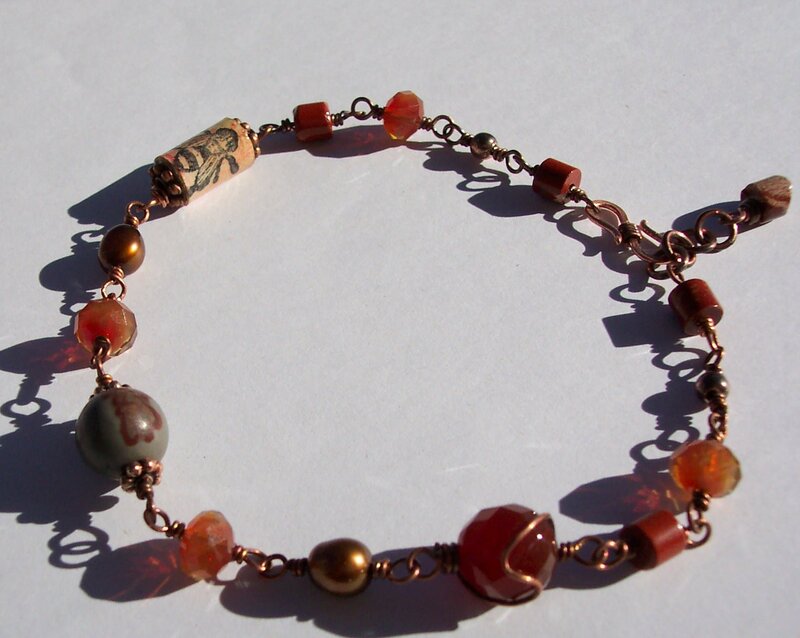 I oxidized some copper wire and used that to make the wire wrapped chain in the bracelets. I really like these and had so much fun working with copper again! I thought these looked neat together. 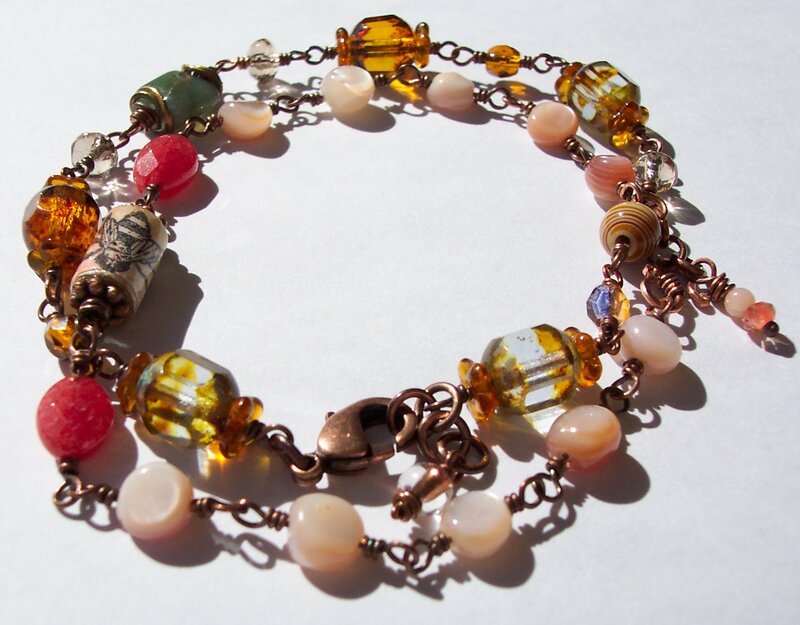 This entry was posted in Bracelets and tagged bead embroidery, beaded pendants, copper, copper jewelry, copper wire, odidized copper wire, wire wrapped bracelets, wire wrapped jewelry, wire wrapping, wrapped bracelets by whisperingiris. Bookmark the permalink.